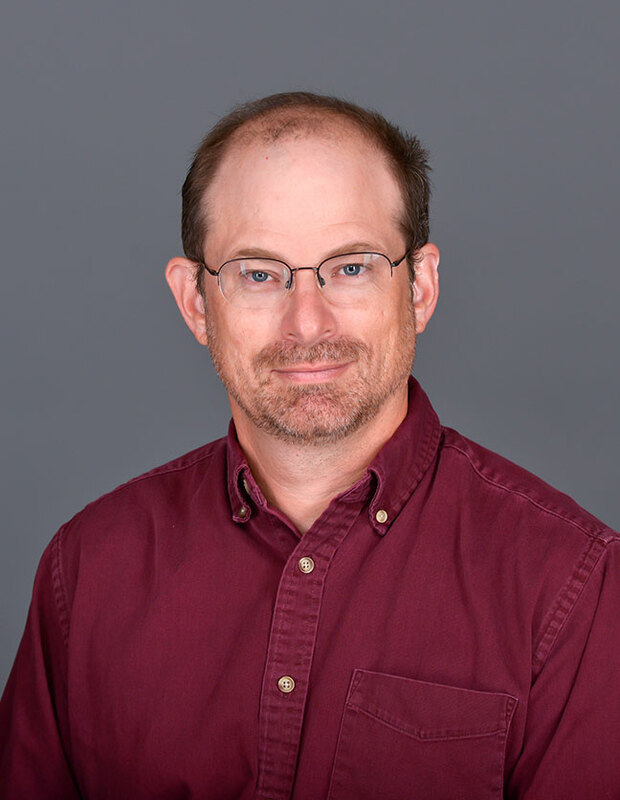 Brian Bodenbender has been teaching geology and environmental science at Hope College since 1996 and is a member of the Campus Sustainability Committee. He engages students in research in both geology and environmental science. Along with his on-campus classes, he teaches geology, biology and sustainability courses on Eleuthera Island in the Bahamas. Although he enjoys taking students into bat-, snake- and spider-infested caves, helping them avoid deadly plants and vertebrates, introducing them to anoxic slime, decaying compost and smoldering landfills, and exposing them to bites, stings and punctures from insects, plants, marine invertebrates and unreasonably sharp rocks, the highlight of teaching in the Bahamas is leading students to visit the Three Beautiful Places. Brian is trained as a paleontologist and has continuing interests in fossils and Earth history. His work on fossils has concentrated on the evolutionary information that can be teased from the orientations of crystals in echinoderm skeletons, although he as also strayed into dinosaur paleontology and 3-D modeling of fossils. As he has taught more environmental science, he has developed interests in sustainability, shaped by the knowledge that extinction can happen even to the most successful of species. His geology research focuses on photographic methods, such as gigapixel photography and photogrammetry to study landscape changes in Lake Michigan dunes. His environmental research includes examining the effectiveness of biochar as a soil amendment and documenting the prevalence of microplastics in Lake Michigan beach sands. Brian has had research funding from the National Science Foundation and was selected as a participant in the first NSF Ideas Lab. He is currently supported by grants from the Michigan Space Grant Consortium and the Great Lakes Colleges Association. View all of Brian Bodenbender’s published work at Digital Commons. Brian enjoys being a dad, camping with his family and traveling to remote mountain streams to pan for insignificant amounts of gold and significant amounts of scenery and solitude. He likes listening to eclectic music weighted toward obscure folk artists, but has never understood jazz and can frankly do just fine without it. His favorite authors include Will Cuppy, John McPhee, J.R.R. Tolkien, Walt Kelly and Patrick O'Brian. Against his better judgement, his reading tastes repeatedly return to first-person war narratives.